Automotives are something in which you invest with your heart however, it is not necessary that they always give you a smooth and comfortable ride. 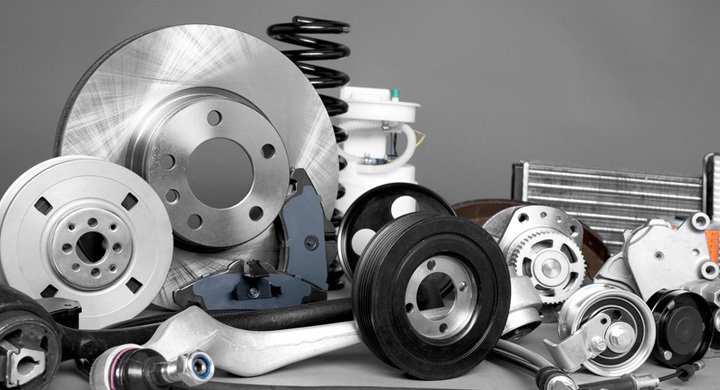 The wear and tear of parts, the weather, the road conditions are certain things that can easily deteriorate the car parts making it difficult for the vehicle to hit down the road with the same power. To take over such circumstances, it becomes necessary to approach some reputed Auto Repair in Surrey BC for getting a reliable fix for your vehicle. Here we bring you some important factors which you need to look for before picking any repair shop. Ask For References: the best thing which you can do for finding a reliable auto repair in BC is to get the references from your close friends and family. Usually, they have a few names which you can easily count on when you are not sure about the services and reliability of the repair shop. Search Around: if you are not sure about the company or business suggested by your friend, then it may be the time to search on your own for the best repair shops in town. You can search for the nearby repair shops by taking local references or search on the map to find a few good names. Check Price And Reviews: once you have a list of few names that you can consider for your car repair, then the immediate thing which you have to do is to check the price of the services and comparing the reviews. You can find the one which delivers the best care at most reasonable prices. Detailed Estimates: once you are satisfied with the options which you have with you, you can share your queries with the repair shop so that they can provide you the right estimate for the parts as well as the repair cost. Make sure you always get a printed estimate to avoid any discrepancies later. Get Explanations: last but not the least, you have to ensure that the mechanic and the repair shop both are able to deliver you a right explanation for the repair of your vehicle. Before you go for any kind of repair, it is necessary that you should be aware of all the changes that are needed to be made on your vehicle. So, if you are looking for a good repair for your vehicle, make sure you stick with all the above tips for getting a great fix for your car. Your first concern should always be the credibility of the car parts or replacement pieces you are opting for. Of course you will also have to check that the manufacture of the spare parts is OEM approved. This is the most ideal way to find out if they are trusted sellers. Some online marketplaces may not essentially sell OEM auto fittings. You may also come across sellers or resellers that deal in aftermarket parts. Verification of quality standards is also important no matter how well reputed the Car Parts Surrey Company is. You also need to know that not all fittings you find will be quality standard verified. Make sure that yours are, because then you will find it easier to get service for that spare part from anywhere within the anticipated time. At times you will find that a new part has worn off too soon and this happens if its quality is not up to the mark. Thus, you need to read other customer reviews, talk to the marketing or sales personnel of the company, and also see other relevant information shared by them on their official site. The warranty of the spare parts you pick is another major and probably one of the pivotal points you must remember. Don’t choose a car spare part that doesn’t come with a warranty. It is typically not advised to pick a piece when its warranty terms are not clear. Some Car Parts Surrey companies might even offer extended warranties on the part so don’t forget to ask for them. You just HAVE to make a comparison of prices. There are a lot of items in the market that you will find have the same features but it is always best to pay the right and reasonable price for them. Don’t forget to check through the website of each provider and go through spare rates. A comparison gives you a good idea of what you should be picking and from which seller. Last time we discussed a few safety tips regarding your little stunt that you’re always willing to perform with your car. The professionals working with the leading Auto Parts Vancouver firms would recommend not doing any repairs on your own but since you insisted so hard upon it, there are a few precautions that you should always follow. Watching Out For The Airbags In Your Car! Yes, working on the steering column can be a big risk. If you’ve decided to go under the instrument panel or the dashboard, you need to take care of a few things always. Make sure that the battery is disconnected. Then before making any other move, wait for at least 15 minutes before you proceed further with disassembling anything or carrying on a wiring test. Also remember, that if you cross, jump or short wires in the air bag circuit, it could deploy the airbag(s) and that can lead to an injury. For your reference you will find that the air bag wiring is often YELLOW in color. The leading Auto Parts Vancouver experts and professionals would tell you never to disconnect or unplug any electrical connector when the engine runs. Same applies to when the key is in the "on" position. Do these things only when you are specifically instructed in a shop manual to do that as a part of the diagnosis. If you want to save the sensitive and expensive electronic components of the engine from voltage spike and damage, make sure not to unplug connectors while the current flows through them. Your Auto Parts Surrey installer will always suggest you to NOT wear loose clothing while performing a repair on your car or engine. Same applies to jewelry or rings, neckties, gloves or scarves when you are working on your vehicle. Remember to tie your hair back if it is long and cover it with something that doesn’t let any strands lose. These can easily become entangled in the moving parts of the engine such as pulleys or screws, or tapes and belts and the like and can cause you serious injury, dismemberment or even death in some cases! These are some safety precautions for you from the books of expert professionals. We will be back with more where these came from, so stay tuned! You must have already seen your auto repair BC professionals toiling hard under the hood or underneath the car engine just to reach to one little bolt that could be potentially causing the headlight to go off. When you know that you have a twisted ankle or a sensitive lower back, you should know that performing certain kinds of tasks is not really your cup of tea. They don’t have to be on your list in the first place. You Do NOT really have to attempt these repairs yourself. Do bear in mind that lifting (such as pulling a cylinder head), unscrewing and repairing and/or replacing some components (like changing or removing tires) might be completely impossible because of their immense weight. If you are not physically fit enough to carry that on it is better not to initiate any of the work. Body Flexibility And More The kind of positions that your everyday auto parts Vancouver repair expert is capable of putting himself into is not going to be an easy stunt to pull off. So if you are thinking of crawling down under your vehicle, and laying and/or working or assessing the damage, you could be putting yourself in a very difficult position, literally. This involves reaching to the deepest and furthest corners of the engine and bending, thrusting, twisting, and performing tugging and pulling, straining and jerking motions which you are clearly not accustomed to unless you are very much into strength training or some kind of physical exercise. In such a situation you need use common sense and stop the work right there If you have a bad back or suffer from any kind of joint problems or do not have the physical strength to do something as taxing as this. The right thing to do then would be to drop the idea of a DIY auto repair and hire an expert to do it for you. We buy cars not just for the purpose of traveling but for actually having the comfort and luxury. Even if you buy the starting range of hatchback or some mid-segment sedan, you invest in a luxury for you and your loved ones. What can be more than a luxury to travel with your family in your own vehicle rather than public transport? But still, we people forget about maintenance of our vehicle in our routine which leads to bad performance of the car with damage to the engine. This is why most of the car companies emphasis on regular maintenance of the vehicle especially changing the oils. Here we have a few reasons why you need to take care of changing the oil in your vehicle. Lubricating engine: engine oil helps in lubricating the engine and its various parts which are continuously in motion to keep your vehicle run on the road smoothly. The pistons, valves, etc. are highly exposed to the heat up due to the exposure they have to move. Changing oil from time to time can help in lubricating the engine for better engine performance. Engine component protection: when you have the required amount of oil in the vehicle which is completely clean from any type of dust or dirt, it helps in preventing friction produced between the engine components when in motion. Ultimately, the oil helps in getting better life from the engine components ensuring a better performance of the engine. Sludge: the engine oil and other oils are not only helpful in lubrication and cooling but they also help information of sludge by mixing with dust and dirt over the time avoiding any type of serious impact on the vehicle’s parts. When your engine oil is turned into sludge, it’s a sign that you need to reach for the Best Online Car Parts shop to buy some new oil for your vehicle. Mileage: bad engine condition would lead to bad engine performance and that would result in excessive consumption of gas to move the vehicle. If you regularly keep a check on the oil, it would be helpful to save a gallon of gas every year. In the end, you invest your hard earned money to get a vehicle and it is completely on you that how you take care of it. Therefore, it is always a good option to work on the maintenance to achieve longevity and a few more hundred miles of your vehicle’s service to you. Having a foul or unpleasant smell car could be a disaster when you are going on a long route with your family and friends. There can be a different kind of unknown issues with your vehicle which is causing an unfamiliar smell in your car’s cabin. These smells must not be ignored as there can be some big faults which need some hands-on repair. Moreover, such smell can be dangerous to your health causing severe damage when the air with some chemical is inhaled for some continuous period of time. Auto repair surrey BC recommends certain important facts reasons which can be causing smell in your car, these can be helpful to you in checking on your vehicle. Sweet smell: the anti-freeze present in the cooling system causes a sweet odor in the compartment if it is leaking out of the system boundary. It can be the smell of the heat exchanger or the steam which is generated from the bonnet of your vehicle. Do not ignore and get it checked because antifreeze can cause you health problems if inhaled for the longest time. Musty smell: turning on your car’s ac can bring along a musty smell which is due to the mildew formed at the air conditioning system. However, sometimes a clog in your Air conditioning system drain tube could increase the possibility of smell residing in your vehicle. Try running only the fan at full speed to get rid of mildew, however, if the issue persists go to the nearby car parts and repair center to get it checked. Rubber smell: if you get a smell of rubber in your car’s cabin, then it can be burning rubber which is getting friction due to coming in contact with a broken pulley or some part rubbing against hose. So you must immediately get your vehicle checked for the professional rescue to the problem. Burning smell: the leakage of oil from any parts of the vehicle and residing on the hot parts could cause burning smell. The clutch plate faults or aggressive braking can cause such smell. Try checking on brake pads or clutch plates to get over the problem. Electrical smell: in case you smell anything like a toast over burnt, then this can be the burning wire or any electrical component burning below your dashboard. These can cause some serious fire in your vehicle to keep the check on such smell and get it repaired. You can just check on auto parts store near me to get the nearby help on burning insulation and get it fixed quickly. Rotten eggs smell: the failure or any fault with catalytic converter due to engine emission problems can cause rotten smell inside your vehicle. The overheating of the converter may cause such smell and you must get it repaired or replaced with professional help to get rid of the smell. However, there are some other reasons for the smell such as gas which may be due to starting the vehicle from the cold condition or in worst cases a gas leak, other than this can be the rotten fruits smell inside your cabin due to lack of cleaning inside the compartment. So now, if you find any kind of smell in your vehicle, you know what it can be. Make sure you reach the experts like WestCan to get your vehicle free from any bad odor in your car. The first thing which needs to be maintained is the outer appearance of the vehicle. The vehicle’s exterior can be maintained by working on regular washing and polishing. This would help in keeping the vehicle protected from rust which may catch the areas which are frequently accumulated with the dust. The regular polishing can also help in protecting vehicle from dust particles that can stay on the vehicle damaging the paint. A better option can be going for a teflon coating of the vehicle which is available at West Can Auto Parts Vancouver. The teflon coating can protect your vehicle by giving a better protection to the paint. The next important thing which is to be checked and maintained is engine and to make sure the smooth running of engine, it is very important to regularly check and replace the engine oil and the oil filters. The continuous operation of the vehicle can result in wearing of the parts when operated without oil change. This can decrease the life of the engine causing performance reduction of the vehicle. 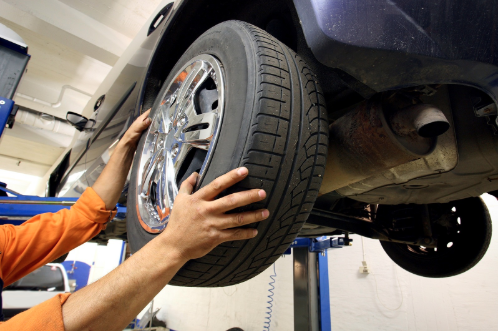 The owner must make sure that vehicle must be regularly serviced and any car parts which are damaged must be replaced at Car parts surrey. The harsh weather in Canada requires high performance vehicles and it must be made sure that all the transmission oils and gear oils must be checked and replaced using the best quality products. Moreover, all the parts which are always into the motion while vehicle moves must be greased for smooth running. Also, the breaks must be checked for the callipers and brake fluid for better vehicle control and stability. Not only the exterior, but the interior of the vehicle must also be maintained. The dashboard and the side plastic of the vehicle doors must be regularly cleaned. Using a good quality polish and applying it from time to time can be helpful in making the vehicle look good from inside. 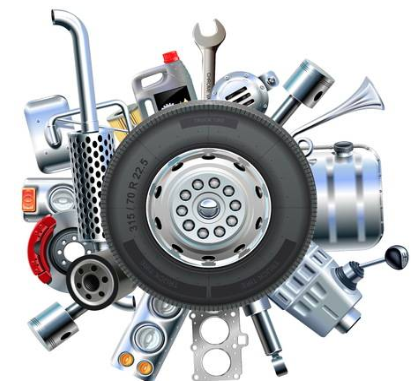 If you keep a good care of your vehicle by working on all these things and you pay a regular visit to your nearby west can auto parts store for any replacement of the car parts in surrey or vancouver. Auto wreckers in Kamloops are an important part of auto care and maintenance. Auto wreckers will come to your rescue if you are stalled and can’t get your vehicle started. They will jumpstart the car if that is needed and they can give a tow if it comes to that. Auto wreckers will be the safest way to get a non-working vehicle to the mechanic. You can also call an auto wrecker in Kamloops to tow a vehicle that might be parked illegally in your spot, on your property, or somewhere it does not belong. Finally, buy car parts from auto wreckers. 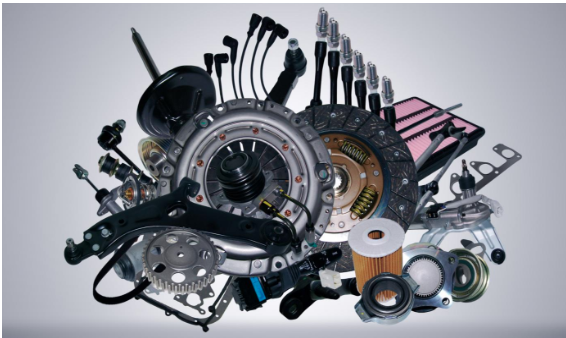 Auto wreckers may also provide used auto parts to their clients. Customers who are looking for parts to fix their cars can find them readily. In addition, many customers restore old vehicles as a hobby. Getting used car parts, old parts, and hard to find parts is easy when you know where to look. Buy from the best auto wrecking company that you can find. Call or just visit and see if they have what you are looking for. If they do not, perhaps the best auto wrecker is willing to do some work and help you find exactly what you need. Be sure that you have found the best auto wrecker in Kamloops. You’ll know you have found them because they always put the customer first. When you call, they will help you get what you need even if they must order the part. The best auto wrecker company will help their clients no matter what vehicle they are working on. They will sell good quality parts and offer a warranty on them. When customers build a business relationship with car part sellers, they will always know where to go for their next vehicle needs. Auto wreckers provide many different services to their customers and that is why they take customer service seriously. Expect professional courtesy and respect when you do business with an auto wrecker. Any car that is worked on either by you or your mechanic should be safe and ready to be driven. The parts that are installed should be covered by a warranty and work as they should. Never settle for second best. Do business with only the best auto wreckers in Kamloops. With the winter season fast approaching now is the time to make sure that your vehicle is fully winterized and ready for the cold temperatures, snow, ice and wind. The best way to make this happen is to go down to your local auto parts store in Surrey or check deals and parts online and place them on order as soon as possible. The cold winters emphasize the importance of being prepared and ensuring that your vehicle will not break down in the middle of nowhere on a quiet road where it may take a while to get help. Instead, work with the professional experts that know all about cars and trucks and what makes them run to find out if you have everything you need. Emergency kits, warmers, extra cans, battery cables and many other items are considered standard safety items just in case you or a loved one runs into trouble. When you purchase auto parts from the well-respected chain in Surrey then you can be sure that you are getting quality equipment that will last you well past when the snow melts and the sun is in full measure next summer. The online website can help streamline the process by having the parts shipped directly to your location and then installing them or taking the vehicle and products down to your favorite mechanic. If you are in need of other related items than check out the inventory options and take advantage of great deals and low prices to pick up a new grill, exterior maintenance equipment like snow shovels or some warmers to keep your hands and feet toasty in the cold temperatures. No matter what you need there is something for everyone in the auto and home section that will keep you up and running this winter with peace of mind and reliance that you have bought the best. Next time be sure to stop by the auto parts Surrey store and see what they have to offer. The experienced staff members can gladly answer any questions you have and provide recommendations on items that you may not have thought of especially if you are newer to the area and the weather conditions.